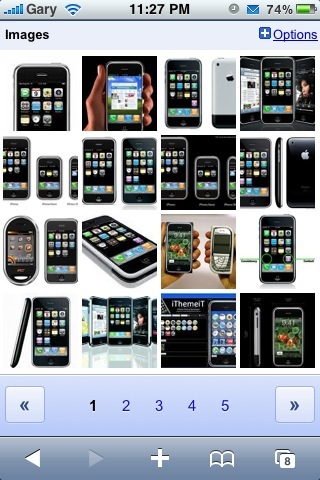 Challenge your friends and the world in real time with iBall Challenge for iPhone and iPod touch! iBall Challenge is a simple game of moving the correctly colored ball into the matching color goal by flicking or dragging with a finger. The game is a non-stop challenge that becomes progressively more difficult with every scored ball. 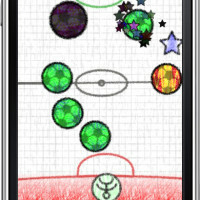 During game play, there are two colored balls and corresponding goal areas. Whether a ball is marked red or green will decide which goal area the ball must be deposited into. Each goal area has a goal keeper that will deflect the ball if the ball is thrown at them which could potentially bounce the ball into the other colored area. If a ball enters a non-matching goal, the game ends. In the beginning, the game starts out slow and simple, but as your world rank increases, which happens very quickly, the game becomes very fast and much more challenging since there is no break or pause button. The more quickly players sort the balls, the better their world rank. Players can also increase their rank by moving starred balls over standalone stars, which appear randomly in the play area, for extra points. 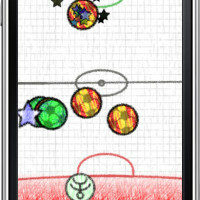 The unique aspect of the game is that in the top left corner of the game play area is a number that counts down with every successful goal. That number is the players real time world rank! This allows players to see exactly what place they are and how much more they must accomplish in order to become number one. Once a game is over, players have the option to submit their score to Facebook or Twitter and scores are further saved locally and viewable on a worldwide leaderboard. 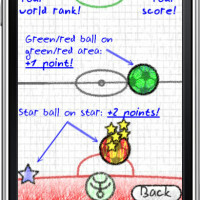 iBall Challenge delivers an extremely fast-paced game experience with a very unique real time world rank tracker. 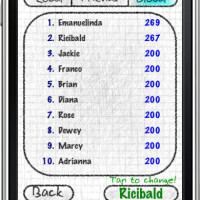 The game play does not get repetitive, as players are continually challenged to increase their world rank. Sharing scores with friends through Twitter and Facebook further add to the challenge of becoming the best. iBall Challenge is available in the App Store for $0.99.